Students learn during the practice test session, how to calmly and effectively deal with the actual timing of the SAT, so that when faced with the test, they will be conditioned to the rigors of its timing. This is a critical part of Cortona’s course. Throughout Cortona’s 26 years of teaching SAT preparation courses, we have found that this practice test experience often makes the difference between average scores verses higher results. Our Standardized Test Preparation Courses are held at our campus in Northern Virginia. A new era is starting for students graduating from elementary school education. For some, there may just be the occasional nerves of heading to middle or high school, but other students have chosen the STEM-focused academic path. For these students, their anxiety over taking these exams may heighten. Thus, more extensive preparation for these rigorous tests is needed. For these reasons, Cortona’s course is designed to build the skills and confidence that your child will need to score well on the verbal and mathematics portions of standardized, admissions, and placement tests. Additionally, there is the essay! The goal of this course is to assist your child in writing a grammatically perfect, well-structured, well-planned, insightful essay. For those intending to apply to the Thomas Jefferson High School for Science and Technology in Fairfax County or to the Academy of Science in Loudoun County, this course will focus on specific areas of the academic requirements for admission. All of these topics are essential for students to be able to flourish in rigorous academic programs. Parents, take the opportunity for your higher-functioning children to become experts in these topics in a stress-free environment during summertime through the instruction of not just teachers, but of our college professors with expertise in their respective fields, and 26 years of experience as standardized test master teachers. Using high-tech study strategies of Cortona Academy to increase test scores. 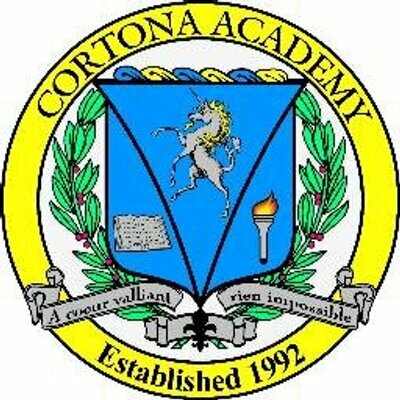 This immensely valuable segment is not taught by ANY OTHER PREP PROGRAM IN THE D.C. METRO AREA, because it is the uniquely patented HTS-3 (Hi-Tech Speed Study Skills) of Cortona Academy which has been applied to improving standardized test scores for 26 years.